If you’ve been following Spotify’s featured playlists you might have seen Gryffin make an appearance in 2015 with hundreds of thousands of people tuning in to his music for the first time. Since then, this rising artist has been making waves across all music platforms and with the announcement of his first live tour, “Whole Heart” that momentum only continues to build. Gryffin set expectations high with his first live show back in January which showcased his ability to bring live music to EDM sets by featuring special guest performances, live vocals, guitar breakdowns & piano instrumentals. 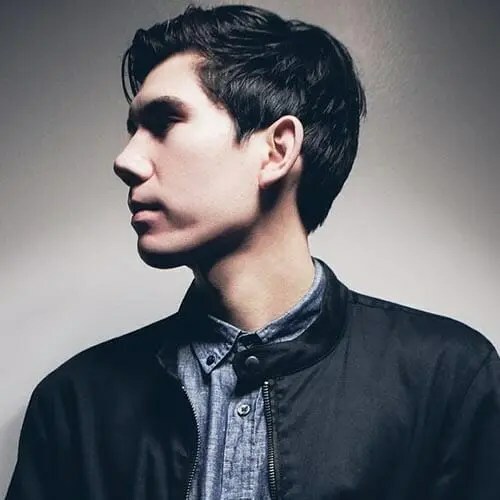 Along with his first show, Gryffin released his first original single “Heading Home” with Josef Salvat which quickly became the #1 song on Spotify’s Global Viral Chart. Gryffn’s “Whole Heart” tour stops in NYC on November 11th with special guests. Check out our exclusive interview with Gryffin and be sure to check out his latest single “Whole Heart” below. 2016 has been a big year for you so far. From performing at Billboard Hot 100 Festival, to opening for Kygo and touring the world. What has been the most memorable moment so far? There have been so many memorable moments this year. But if I had to pick one, I’d probably say the release my first original song “Heading Home.” It marked a major milestone for me as an artist and was the launching point for the project’s biggest year yet. Fans love your live sets. The vocals, the guitar rifts, everything. What originally influenced you to devote time and energy away from traditional DJ sets? Ever since I started the Gryffin project, I wanted create a live show to showcase my music. I’ve always incorporated a lot of live elements into my music and felt it was crucial that I give my fans a unique experience. In January 2016 you debuted your live show in NYC and LA. What new things can we expect to see in your upcoming live tour? My upcoming live tour is very different from my previous tours as I entirely rearranged the set, added some new music including unreleased tracks, and created some new live edits. We also added a new lighting rig to enhance the visual aspect of the show which I think people are really going to enjoy. You’ve been playing piano since age 7, but if you could instantly master any instrument, what would it be and why? If I could master one instrument instantly, I would probably say the drums. When I was younger, my parents wouldn’t let me have a drum set and I’ve always admired the technical skill it takes to become a great drummer. Growing up in New York, are there any local artists you draw inspiration from? I actually grew up in Northern California near San Francisco. I don’t know if I really knew any local artists but I drew a lot of inspiration from classic rock, like The Rolling Stones and Led Zeppellin, which in turn lead me to teach myself how to play guitar. You recently moved to LA from NYC. How has this impacted your collaboration with other artists? LA is great because there are so many artists out here and it’s so easy to hop in the studio whenever. Whether it be a formal session or just meeting up to bounce different ideas around, it’s great to live in a place where collaborating is so accessible. If you could collaborate on a song with anyone in the next 6 months, who would it be and why? Francis and the Lights just released an incredible album. I would definitely love to collaborate with him as his voice is so unique and powerful. Are there any new projects coming up from other artists that you’re excited about? I’m really excited about an up-and-coming producer name Whethan. He’s only 17 years old and has created some really impressive remixes and originals. Keep an eye on him. I really like to follow sports, particularly football and baseball. What does your ideal Saturday night look like in NYC when you’re not performing? Typically just going out for dinner or drinks with friends.